Each Gum Shield Comes with a Case and Instructions for Use. Easy to mould and very comfortable to wear. Available in Adult and Junior Sizes - As a guide Adult Size - Suitable for Age 13+. Junior suitable for 8+, but may need to be trimmed. Value Packs of 10 & 100's also available on Amazon. · The Game Guard range has been developed to fulfil the requirements needed for this essential piece of personal protective equipment, offering you a high quality boil and bite gum shield at a sensible price. · The entire range has been CE certified and tested in accordance with BSI DD 253:2001. 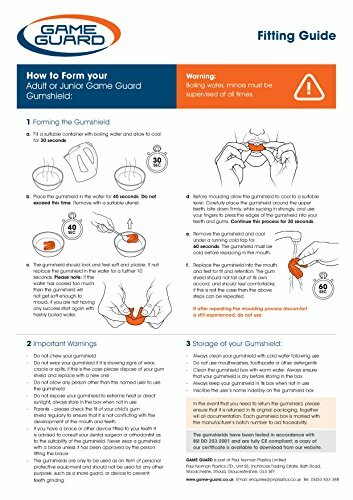 · Each Gum Shield Comes with a Case and Instructions for Use, it is easy to mould and very comfortable to wear. 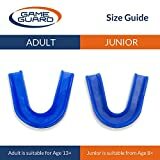 The instructions are also available to download from our website game-guard.co.uk. Please follow the instructions carefully. 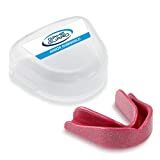 · Ideal for all Contact Sports, Rugby, Hockey, Lacrosse, Cricket, Boxing, Martial Arts, MMA - we sell 100's of thousands of gumshields per year to schools and clubs. 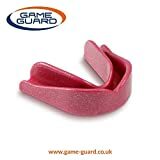 · The GAME GUARD range is available in 14 colours and 3 flavours Spearmint, Strawberry and Blackcurrant. 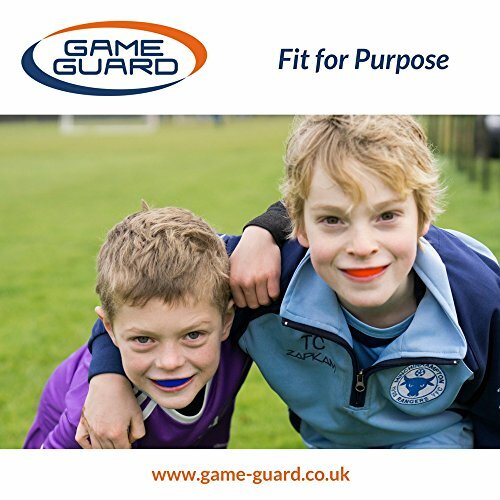 · The GAME GUARD range is available in 3 sizes - Adult (Age 13+), Junior and Double (One Size only Adult). · The GAME GUARD range is available to purchase singularly or in packs of 10 for Adult and Junior or Packs of 7 for Doubles. · Please Note : When taking part in contact sports, wearing a mouth guard can help protect against injury to the mouth and jaw. Different sports involve different levels of risk and potential injury therefore it is essential to select a mouth guard that will offer you protection, fit comfortably and will stay in place. However it is important to remember that no mouth guard will completely eliminate the risk of injury, but this risk is significantly reduced from not wearing one at all.